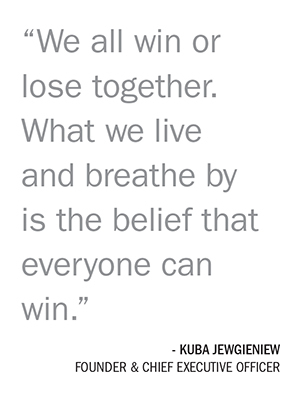 Success is a familiar feeling for Kuba Jewgieniew and the team at Realty ONE Group. Since its founding in 2005, Realty ONE Group has turned heads with its rapid growth and distinctive lifestyle brand. The company has been recognized as one of the fastest-growing real estate brokerages in the nation seven years in a row by the Inc. Magazine 500 and 5000 lists. Its famous fee-based model ushered in its “UNbrokerage” nickname and attracted more than 10,000 real estate professionals to its family. But all that’s about to change—or shall we say, expand. Realty ONE Group has launched an aggressive franchise expansion initiative that calls for the company to share its growth, culture and brand with thousands of real estate professionals. Instead of focusing on his own success, Founder and Chief Executive Officer Jewgieniew is focused on empowering his franchisees. Jewgieniew is leading this business transformation, from brokerage to franchisor, by focusing energy on three key areas: growth, people and culture; technology; and branding. His vision calls for Realty ONE Group to become the premier residential real estate franchisor by extending the Realty ONE Group lifestyle brand, culture and success formula to professionals across the globe. The results of Realty ONE Group’s transformation already speak for themselves. At the beginning of 2017, the firm operated in 17 states. Today, Realty ONE Group operates in 33 states. And by the end of 2018, the company will be in 40. Since September 2017, the firm has added 55 new franchisees. The goal is to add 100 new franchisees in 2018. 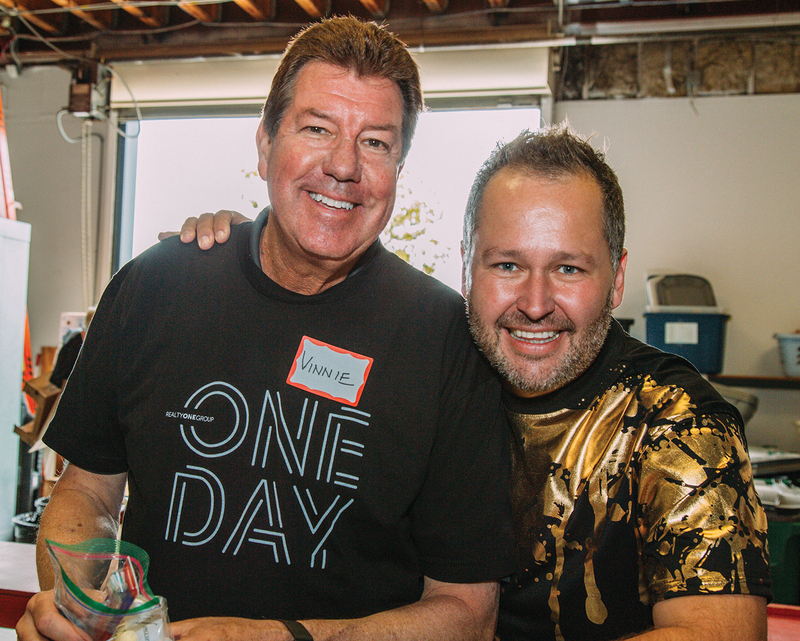 Jewgieniew and Realty ONE Group Affiliates President Vinnie Tracey at ONE Day, the firm’s national day of giving back, held annually on May 1. “That will double the size of the company—that’s our goal,” says Vinnie Tracey, president of Realty ONE Group Affiliates, who joined the company in 2017 to spearhead franchise expansion. He formerly held a similar role at RE/MAX International. Jewgieniew recruited him to the company after Tracey spent 38 years at RE/MAX. Tracey agreed to join the team, intrigued by the opportunity to develop a franchise model focused around the real estate professional. Tracey praises the Realty ONE Group team for its transformation over the last year. He says the organization had to recommit itself to the franchise model after years as a hybrid that operated corporate brokerage offices and offered franchises. The new focus is exclusively franchising. “We knocked down all the barriers and said, ‘Let’s go!’ We made franchise sales our main focus—and it shows what’s possible,” Tracey says. 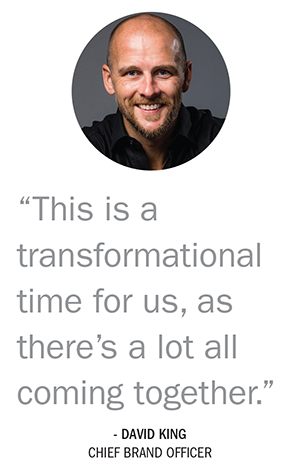 He credits the leadership and passion of Realty ONE Group’s people for the successful transformation—and bright future. 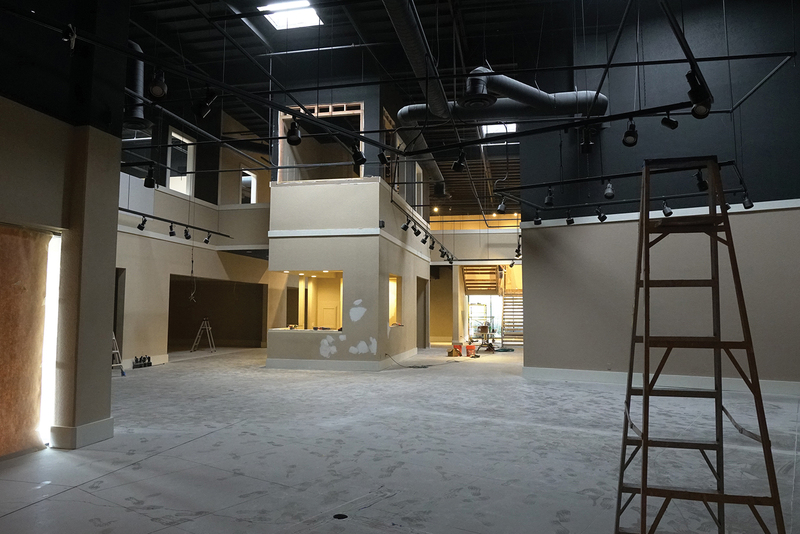 “We had to morph from a brokerage into a franchisor, and we have done that successfully. I’m very, very proud of that,” says Tracey. “It took a mind switch. Now, we do things for the good of everybody. The evidence is clear. Realty ONE Group’s first franchisee, Barbara Baker in Southern California, began as a solo agent. After signing with the company, she has grown to 350 professionals on her team in just five years. She recently signed a 10-year franchise extension. “Our real estate professionals are empowered to achieve greater success, faster,” Jewgieniew says. How? Realty ONE Group’s innovative fee-based franchise model. Rather than paying a commission on every sale, Realty ONE Group charges a flat fee. Last year, Realty ONE Group researched what REALTORS® who had joined their company in the prior 12 months would have paid in commissions at other firms. The results were staggering. Jewgieniew says that his REALTORS® saved $168 million that would have gone to their prior affiliations. At Realty ONE Group, they keep those dollars and reinvest them into growing their business. He says that their real estate professionals earned $400 million in gross commission income last year. With U.S. expansion well underway, Jewgieniew has tasked Tracey with international growth, too. In fact, Realty ONE Group has plans to open a Canadian franchise this year. A small handful of other international options are being vetted, as well. But international markets carry a unique set of challenges and opportunities. “It’s all about finding the right partners,” Tracey says. 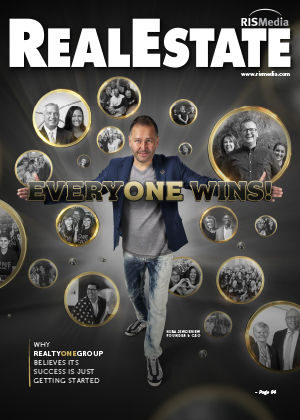 Jewgieniew says that his “everyONE wins” mantra is driven by the special company culture embedded at Realty ONE Group. He calls it “coolture,” and it heavily focuses on recognizing each teammate and praising their performance. Internal 3D designer Juan Sosa designing Realty ONE Group’s new headquarters in Laguna Nigel. “This is a people business,” Jewgieniew says. 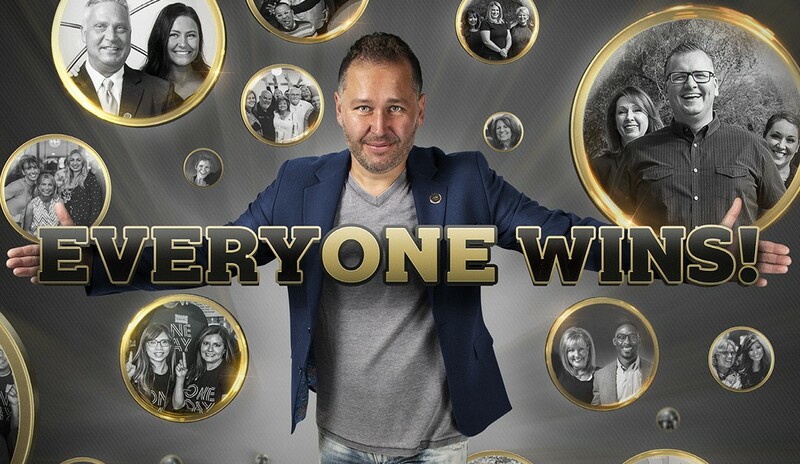 From the beginning, Realty ONE Group was built to be a company that invested in the success of its people, explains Jewgieniew, not because it would increase profits, but because he believes a community of professionals and dreamers can come together to change an industry, make a difference in local communities and support each other. At Realty ONE Group, employees are encouraged to express their unique qualities and be supported. A native of Poland, Jewgieniew encourages his employees to travel and explore. He fosters a diverse staff, with large numbers of employees hailing from Europe, Latin America and across the U.S. The result has been a “coolture” that promotes giving. 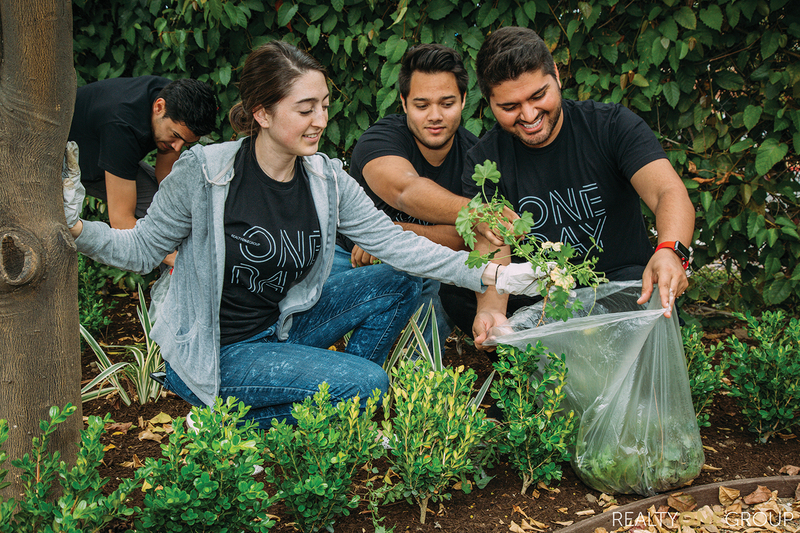 Through Realty ONE Group Cares, a nonprofit 501(c)3, both corporate and franchise employees regularly volunteer and give back in the communities where they live. In addition to great people and a growth strategy, Realty ONE Group recognizes the importance of emerging technology and a unique brand. It has invested heavily in both this year. 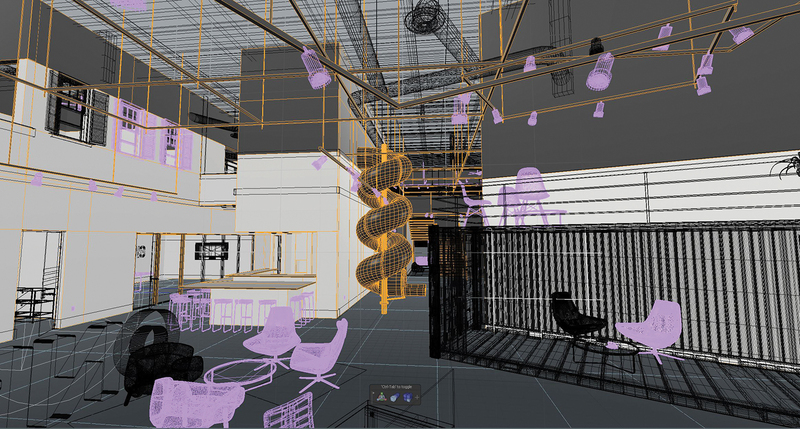 The new headquarters will include ‘show-stopping’ features, such as a treehouse-inspired overlook. Jewgieniew, a former licensed financial and investment advisor, understands the speculative tech play taking place in real estate today. Publicly traded real estate companies such as Redfin, Zillow and eXp Realty are being rewarded for their advancements in technology. Other firms, especially those who can’t articulate their technology strategy, are trading at a discount. Realty ONE Group’s philosophy is centered around the real estate professional and surrounding him or her with a suite of technology tools that can be accessed by their business. While details are proprietary, Jewgieniew mentions data, analytics, machine learning and artificial intelligence as core pieces of Realty ONE Group’s investments. This suite of technology tools, from marketing to customer service, is powered by a virtual tech ecosystem called the zONE. The zONE functions like an app store on a smartphone. Users are able to access tools, coaching and other resources based on their needs and level of production. All basic tech tools are available to each franchisee, while new or more advanced tools are available to top performers. Combined with this suite of technology is a renewed emphasis on the Realty ONE Group brand—something Jewgieniew has nurtured since launching in 2005—and creating a distinct lifestyle brand in the space. Realty ONE Group’s chief brand officer, David King, joined the company in early 2018 after seven years at Movement Mortgage, the seventh-largest retail mortgage lender in the U.S. At Movement, King elevated the Movement brand from a small regional lender to a national force. He’s asked to do that—and more—at Realty ONE Group. “This is a transformational time for us, as there’s a lot all coming together,” King says. 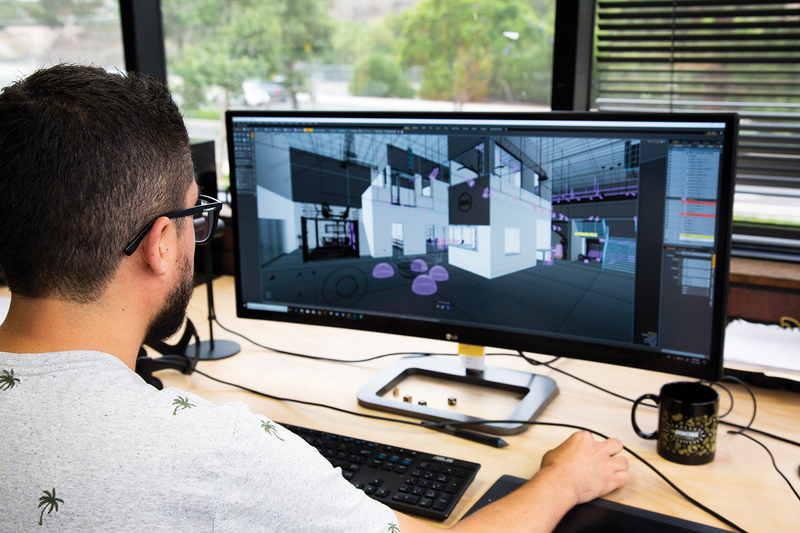 One of his first major projects is working with Jewgieniew on the design and build of a new corporate headquarters in Laguna Niguel, Calif. It’ll be located near Realty ONE Group’s Cube8, an internal branding agency King leads. The new headquarters “will be a showroom as much as a headquarters,” King says. There will be plenty of show-stopping features, such as a top floor overlook inspired by a treehouse. Visiting franchisees will be invited to attach a memento to the branches of the tree, as a symbol of their commitment to Realty ONE Group. This next chapter will show his diversity as a leader, as he makes the transformation from powerhouse broker to empowering franchisor. Realty ONE Group will double in size in 2018—but even bigger opportunities lie just over the horizon, as the “UNbrokerage” model that has been so successful for Jewgieniew is shared with thousands of real estate professionals worldwide.